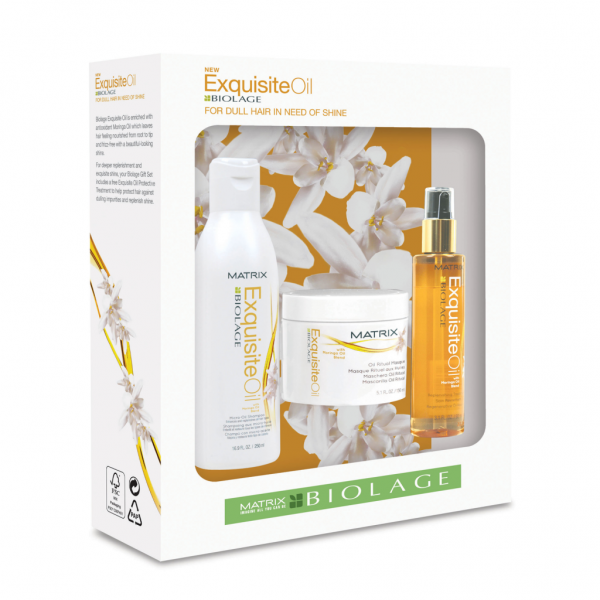 Product information "Matrix Biolage ExquisiteOil Gift Set"
Designed for dull hair that is in need of some shine! Biolage Exquisite Oil is shine redefined. Enriched with anti-oxide Moringa Oil and an incredibly indulgent conditioning formulation; Biolage Exquisite Oil can be used before shampooing for brilliance; softness and easy manageability whilst protecting it from damage caused by heat styling. Related links to "Matrix Biolage ExquisiteOil Gift Set"
Customer evaluation for "Matrix Biolage ExquisiteOil Gift Set"